A statement issued by the Ministry of Ecology and Environment says that China has met its annual target for pollution control in 2018, with more blue skies, cleaner waters and greener mountains. “We have successfully delivered all the obligatory targets set for 2018 and stayed in line with the timetable outlined by the 13th Five-Year Plan,” Chinese Ecology and Environment Minister Li Ganjie said during a work meeting that concluded Saturday. Thorough action has been taken to clean up 1,009 “black and malodorous” water bodies in 36 major cities and 1,586 water sources, Li said, adding that “defense of lucid waters” would be a primary task for 2019. 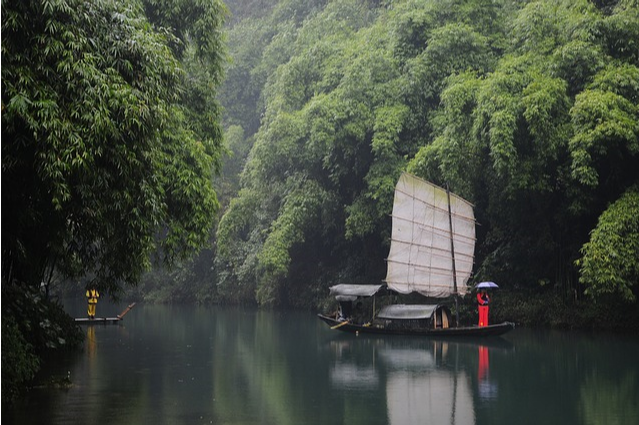 In 2019, China will put the Yangtze River restoration project in full swing, clean up more “black and malodorous” water bodies, achieve environment improvement in the Bohai Sea through comprehensive measures, and launch a water quality campaign in rural areas, he added. Air quality has also continued to improve with 338 major cities reporting good air quality on 79.3 percent of days, up 1.3 percentage points from the previous year, according to official data. “This will give better support to balancing environmental protection with economic development and realizing mutually-enhancing interaction,” Zhang said.